Valve doesn't like Xash3D for various reasons and I don't like Xash3D too. I dislike VALVe and closed-source stuff a lot more. Like it or not - Xash3D is currently the only working alternative to proprietary GS. And people working on its portability. You probably seen it working on ARM/Android. I like it because it overrides most of the limits of GS engine. I did read a lot about Xash3D, and I am still wondering what did the Xash3D "steal" from Valve to make that company so angry. If we believe Valve, the HL code is 99% Quake source with less than 200 lines of new code, so, are those 200 lines of code what Xash3D team "steal"?. Well, I am simplifying it too much, sorry. But, and this is other question, could the parts that are supposed to be "steal" code be developed through other ways apart of simply stealing the code?, is it proven that Xash3D guys did steal that code?. I am so confused, overall with the Quake part. I can not understad why an engine done with free software, as the Quake source is, is taken in a so low consideration if itÂ´s done with code available for anyone who wants to put their hands on it. Of course I understad that for many of you any kind of piracy-reverse engineering is like killing a dolphin with a spiked club or so, I donÂ´t like this kind of things, donÂ´t get me wrong, but I am not sure where to put Xash3D developers in that list of undesired persons. I hope Solokiller release some day the PowerSource SDK along with the Powersource engine with VERY extended limits that will depend on actual hardware specs that are 100 times higher than in 1997. HL code by far is not Quake code, yes its based on quake and quake2 a little, but is leaps and bounds ahead of what quake was at the time, with Valves additions to the code. Models with bones to name at least one thing. If the code is not 1:1 what they supposedly stole it doesn't count as stealing. Unless there are patents involved, which serve to protect the idea and the realization technique behind it in this case code which as far as i am aware is not patented. And there are also licenses. Anyway code theft is kind of hard to investigate, because you can always claim to have stumbled upon a solution which just happens to be identically coded as Valves. Piracy and reverse engineering are not the same, they go hand in hand because RE can be used to crack DRM games and such and that's why media makes it look like its a bad thing. Granted 80% of all licenses have a "No reverse engineering" clause which i believe also exists in Valves license. Back when Valve were making the engine the quake engine was not free or open source and they bought (licensed) it from Id Software (makers of quake). And even to this day all the Id Software engines are free for non commercial use, meaning you can't make any money off selling a game with the engines code in it. That's why i believe Valve does not care about all the reverse engineering that's going on with the GS engine. All this interest in it just makes Valve more money in the long run. ...what did the Xash3D "steal" from Valve to make that company so angry. IIRC, Xash3D and other sorts of projects that use it had code from the 2003 HL2 leak. Which is deemed illegal to use by Valve, and for good reason. EDIT: Also, Xash IMO is lego-work that crumbles if you touch it, I appreciate the effort that the developers put in, I just don't like the end-result. Yes!, at least with me Valve is winning!! Also, Xash IMO is lego-work that crumbles if you touch it, I appreciate the effort that the developers put in, I just don't like the end-result. It works fine, except for sprites, it does extrange things (bad colors or sizes, or sometimes they even show up), but I think UnkleMike is working on that, at least I hope so. Factoring in everything, today it sounds like this: Do what you want as long as you don't make money off it. I think that whatÂ´s the last thing in their priorities for people like Sookiller is to earn money with what they do with Gold Source. 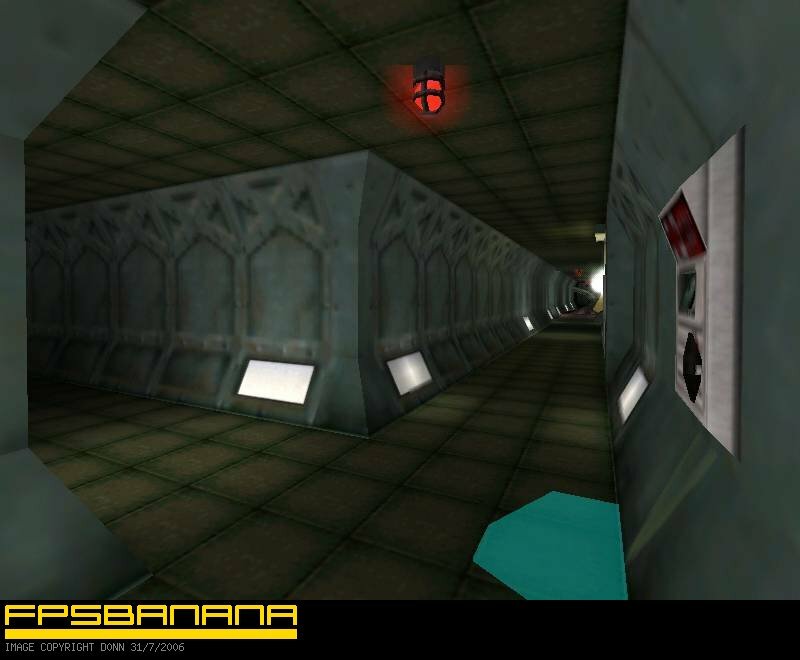 GoldSource is very different from Quake. The code that handles startup alone (up to the code that was in Quake: Host_Init: https://github.com/id-Software/Quake/blob/bf4ac424ce754894ac8f1dae6a3981954bc9852d/WinQuake/host.c#L835) is more than 200 lines by itself. 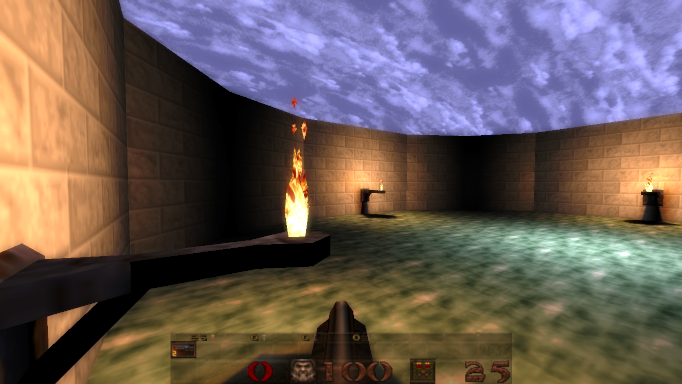 Things like studio models, the C/C++ interfaces (Quake uses an interpreted language called Quake C), detail textures, Steam integration, etc were all added by Valve. There's also the WON auth code (which surprisingly is easy to reverse engineer for a Windows DLL) is/was also unique to GoldSource. Strangely enough, i remember seeing something similar to this in Sven Co-op's code as well, so i guess it might have been released somewhere and subsequently lost. Perhaps it's somewhere in the HLCoders mailing list, i can't be sure because there is no easy way to search through it and Google can't index it (afaik). That's a good side project to make, a simple tool to search through all HLCoders archives. Too much information is essentially lost in there. It's a bit vague because they don't specify exactly which parts are illegal, just that it's not the original engine. Perhaps if you ran Xash3D under GoldSource it would be legal (as PowerSource's MetaLoader does), we can't know that. If the people involved with Xash could prove that they didn't use leaked code it would probably clear things up, as would Valve doing something about it. I couldn't get HLE to run under it, seems that they use a different approach to loading mods. I'm probably just missing something simple though. I sent an email last week where i told them if they didn't reply or gave vague replies i'd consider that to be a silent acknowledgement giving people permission to do whatever they want when it comes to reverse engineering. I haven't received any replies. So i guess we can do whatever we want without fear of repercussions, provided we don't make money off of it. I did tell them about an exploit that lets you play any game for free using Sven Co-op as a base, it even lets you break the "prevent players from playing HL singleplayer alone" rule that they set for them. It isn't an obvious exploit by any means, but if people figure it out, it would undercut their GoldSource profits, at least until the exploit is patched. I'm not sure if that is even possible without making a mess of SC's Steam deployment though. Just getting the basics up and running to see what that winds up as. A complete rebuild would take a lot of time, and there may be breaking changes in some areas (command line arguments, settings.txt) so i was going to ask for some feedback first to see what people thought of it. I think we've cluttered this thread enough with off topic discussions though, can this be moved to its own thread? These days the amount they make from Goldsource per year will probably be around what they make from CSGO in five minutes of in-game purchases. At the end of the day, there's absolutely no motivation for Valve to care about any of this. They're loving and supportive of Goldsource modders, but why would they actively take steps to allow GS to stop being GS? All these Frankenstein's engines like Xash are just such a pointless endeavour. I get that it's fun to tinker with an old engine, but getting mad at Valve for not caring is daft. If you want Source features, use Source - otherwise, you're better using an entirely open-source engine like Unity. Hell, the amount they make from goldsource per year is probably less than I spend weekly on lunches. Pretty much everyone who wants Half-Life/CS 1.6 has it, and even back when the engine was high tech there weren't many people lining up to license it. It doesn't really make business sense for Valve to care about goldsource. Besides, if recent interviews are to be believed, they're actually making a new engine anyway. @Crypt Haven't forgotten about the threading topology comparison, I'm just really slow. Sorry! Quite happily surprised that I am not only able to return to this after a week of not doing anything with it, but being motivated enough to continue working on it with no problem. Finished the midsection and I'm almost finished the bottom plate. 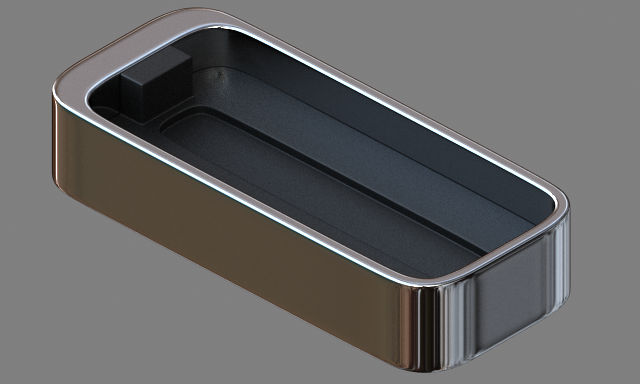 The midsection was easily the most difficult piece to finish due to it's complexity, and my inexperience with high-poly subd topology. Once the bottom plate is finished, I only have 5 small pieces left which are going to be a cakewalk (knock on wood) compared to the rest of the mod. This is by far the most detailed model I have ever created. If you were to switch to Unity (or any other engine, including Source) you'd lose the right to use Half-Life 1 content. Do you want to tell the Science and Industry team that they should just switch engines? They built on top of a lot of existing content that would suddenly be illegal to use. You'd be forcing people to throw away nearly 2 decades worth of content just to get around engine limits that are trivially, pathetically easy to deal with when you have access. E.g. the maximum map size is basically just a few networking related function calls that can be made customizable. Consider this: Valve required the SC team to prevent people from playing the Half-Life campaign alone, yet there are multiple ways to do just that, ranging from running a mod that loads the maps you can get from SteamCMD (and you can make your own mod easily enough) to using the exploit i've mentioned several times. Said exploit can only be fixed by making changes to SC's Steam depots, and i've seen no changes there that would prevent the exploit from being used. Similarly, i've pointed out many times that you can reverse engineer all of the engine's code easily using IDA. It's practically the same as releasing the source code, only it's not immediately usable. This is in direct contradiction of Gabe Newell's statements about not releasing it to prevent hackers and cheaters from abusing it. There is nothing stopping people from breaking those rules and doing exactly what Valve wants to prevent from happening. If they won't act to fix exploits or stop people playing games for free, then we don't have to worry about legal action if we reverse engineer the engine. If they do act when we do that, they'll be sending a very powerful message that contradicts their own statements in the recent AMA and interviews. So i don't think we'll be having to worry about anything. I guess i'll start rebuilding the launcher this weekend then. If you want Source features, use Source - otherwise, you're better using an ?entirely open-source engine like Unity. Wrong. Most of us don't care about fancy graphic bump and specular thingy, we want those stupid 1997 limits overriden, just that. I don't think it can really be worded any better than he put it, but to reinforce the point: If you want a different engine--Use a different engine. Outside of this forum, I have never heard of anybody so demanding of the goldsource engine's source code. 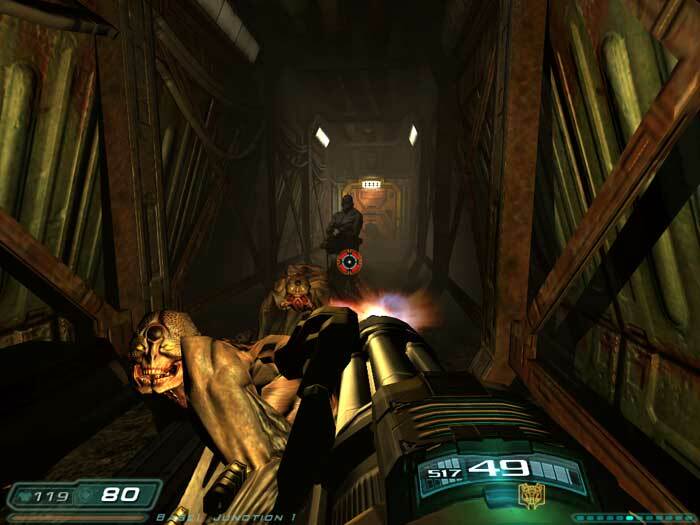 With the amount of band-aiding you're going to be doing to the goldsource engine to keep up with that, you might as well just use the open-source quake engine instead, or even better, use a modern engine if you want modern features. I think it's great that people can still be passionate about a great game, and more specifically it's engine, but there is a point that you have to push past the nostalgia and accept that obsolescence is in fact real. And for Xash3D, we just need to develop mods under Xash3D publish them as to be used under GS but advising to use it under Xash3D or whatever engine. Advising to use something is not illegal... Oh, wait!, could it be something like encouraging to use pirated software?, unless there's some legal notification or someone condemned... could a clone engine be recommended of being used? It always annoys me to hear people saying: you should move to another engine. Being told "you should accept that obsolescence" makes me feel like I'm consulting a psychologist. I don't need one (at least when it comes to my modding preferences, I guess I could use one for my odd exhibitionist disorder). We know the age of the Goldsource engine and we're not sticking with it just because we're deliberately ignoring the reality unlike what you're saying. There are good reasons to stick with it, a good part has to do with personal preferences and also passion for the original game. But the Goldsource engine still remains relevant today for other reasons. It's got a distinct gameplay and graphical atmosphere, there is very extensive knowledge of the engine which has been accumulated and documented over the past 20 years, its modding experience is time-tested, and last and far from the least: it's got a huge legacy of content that would be unusable from another engine. I'm not a Goldsource die-hard fan, but I don't think you should see people who stick and want to do more with the engine as closed-minded people who refuse to accept the reality. Unity is closed-source, I believe. We are not against GS we are referring to the clone engines, they add very little benefit but segregate the already shrinking community. As a mapper i can't justify the use any of these "3rd" party engines because they are not as widely adopted as the version currently on Steam. The look and feel of the engine is there, was there and will be there in the form of the original engine. GS was not meant for elaborate entity setups or huge open worlds, why do you need to change that ? Ive looked at Xash or was it SOHL or whichever with all these graphical improvements and a map on them looked horribly lacking polish (props, lighting etc...). The thing with GS is that you can get away with using just CSG for your map keeping the look and feel authentic. That's why many never moved to Source because the level of detail needed to make a decent level is way higher. The only thing that keeps this engine from going under is nostalgia. Valve pulled the other reason when they released csgo. Haha, no, i was only describing myself!! If you don't want to make maps that use newer features, you don't have to. If you want to play only mods that use the original engine that's your choice. Why restrict people from doing what they want just because you don't feel like doing it yourself? I agree with that. I don't understand what's up with that willingness in imposing a lethargy to others. We don't stick with GS for its lack of elaborate entity setups and huge open worlds, so why would we prevent it from getting these new features? (although, those two, especially open world, is far from being the reasons why we want to open-source the engine). Also, I like the visual aspect of improved GS/Xash games like Paranoia 2 and Cof. Guess it depends on everyone's taste. For the nostalgia part, I explained in my previous part why I think it's wrong. Also, I would argue there is currently more CS1.6 / CZ mappers than other GS mappers. For the nostalgia part, I explained in my previous post why I think it's wrong. Also, I would argue there is currently more CS1.6 / CZ mappers than other GS mappers. I think I mentioned this already but I'll mention it again : some people prefer old engines (not specifically GS) because less technology means that there is less time to learn and master it. While modern engines open to the public try to be as friendly as possible (mentioning Unity and Unreal Engine 4), you still need a lot of time to learn them and master them. In other words, creating a level in DOOM 1 is much easier and faster than doing the same in Unreal Engine 4. I would also like to make a note that is very dear to me when it comes "to fancy graphics inside Gold Source mods": please, don't mistake mods that features enhancements (ARRANGEMENT, Cry of Fear, PARANOIA, Trinity to quote the most populars) as engines (Gold Source, Xash) because they aren't. To clarify, these kind of stuff are built in the client binary (client.dll) by "querying and extending the existing", if it was done inside the engine, others binaries would have been touched ("hw.dll" for Steam, "xash.dll" for Xash) and it would have impacted all games running on that engine. Switch to Source ? It seems that Valve also abandoned it as well. Just look at the Source SDK 2013 GitHub repository, same hell as the Half-Life 1 one. I'm not a "pro-Gold Source" kind of person, I did mess around with Unity, Unreal Engine 3/4 and a little bit of Source too. But I refuse to throw away 10 (almost 15 for some people) years of hard work (ARRANGEMENT) just to migrate everything to Unreal Engine 4 and repeat the same history as Duke Nukem: Forever which is the "let's switch to this modern engine because it's so cool". @Loulimi : Unity is closed source unless you buy the "Pro" or "Enterprise" license IIRC. Which these mods remove. Nobody here is anti-goldsource, nor are we blind purists trying to ruin other people's fun. Just simply part of Goldsource's charm and its continued appeal is its simplicity and style. Once you add refractive water and normal maps, etc, all of a sudden you've just got a horrible mismatch of style and it looks awful. The argument is not against Goldsource. That's your opinion. Yet again, the Goldsource engine has got a very pleasant visual feel. That doesn't mean everything is perfect with it. The flashlight is horrible, so is the water and the low-quality textures. Yet I still like its simple visual layout. Blocks' edges are neatly, precisely, roughly (by that I'm trying to say that the scale is big) and brutally cut. There is no, or very few, smoothing effect. I cannot express all the reasons why I still like its visual appearance, that's just personal preferences and that's very hard to describe comprehensively. You find it awful, I love the visual appearance of graphically-improved Goldsource mods such as Cof or PS2 (or Arrangment winks at Shepard), more so than Goldsource's original visual aspect. I still find Source graphics absolutely awful though. The whole debate is about whether it is worth it to open-source the Goldsource engine in order to improve it (and also apparently whether people should tell other people what engine they think they should mod for). I take it you think it's not worth it. I'm convinced it is for a load of reasons, some I've already mentioned (bug fixing, optimisation, better modding experience), some I've not mentioned yet (custom menu, updated dependencies), and also for the reason of improving its visual appearance: making it look better while only sticking with what makes it look good, even compared to more modern engines. It would be easy to make new visual features only come as an option I believe. I don't see the point of engines such as Xash which are buggy and illegal though. I'm all for people doing interesting things with the GoldSource engine, but I'm a sucker for the classic style and even the original Low-Def models. Nobody's saying we should do that. For some reason, every time i talk about dealing with OpenGL performance issues people think i'm talking about refractions, reflections, bump mapping, HDR, etc, when all i mean is to eliminate the performance issues caused by immediate mode and poorly written graphics code. This is rendering a map using shaders, yet it looks the same as in-game. That's because the shaders are identical to the immediate mode version. A well designed implementation will have the capacity to have those fancy effects, but that is not what i intend, and i doubt anyone else would force it on others. I don't know about you, but if i uncap the framerate i get ~1,5-2k fps running trempler's or bruce's huge experimental maps. Where are these performance issues you speak of? "but i guarantee any 10 year old system can push a decent 400fps"
My laptop is almost 10 years old, and I am confident that your statement does not apply on my end. AMD users beg to differ. It's a driver issue, not an implementation issue, but you have to switch to shaders to bypass the problems. Never owned an AMD/ATI card so can't comment there. I have one at work though so i might test and see what i get compared to Nvidia. Don't forget to turn on the flashlight, that's a major cause of FPS drops. I am sure that what many modders are asking for is to increase engine limits, just that, nothing about fancy graphics. In my personal case I am just more than happy if the game don't crash because of the max edicts issue, or the max entities in visible packet list. Probably Xash has its issues, but with it my mod did never crash because of those problems. I am ager to see what Solokiller will do now that, as I think I read, he will start to study how to improve the engine (if not, it will be like a bucket of ice thrown on we all modder's back!, hahaha ). 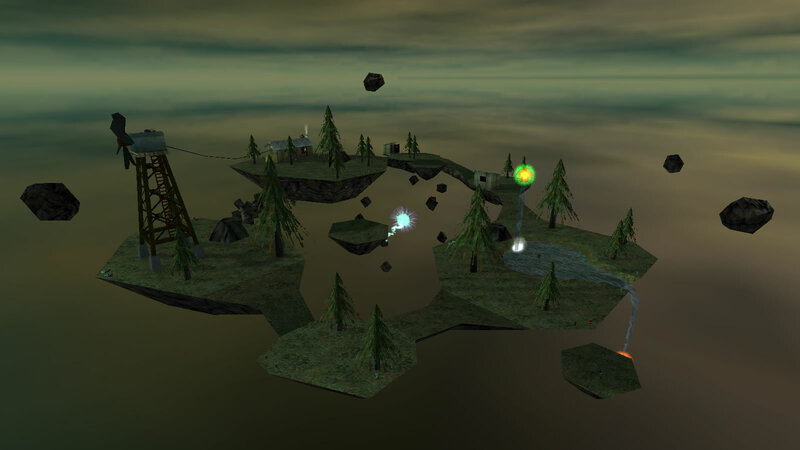 @Trempler keeps nagging me to make a Xen map. 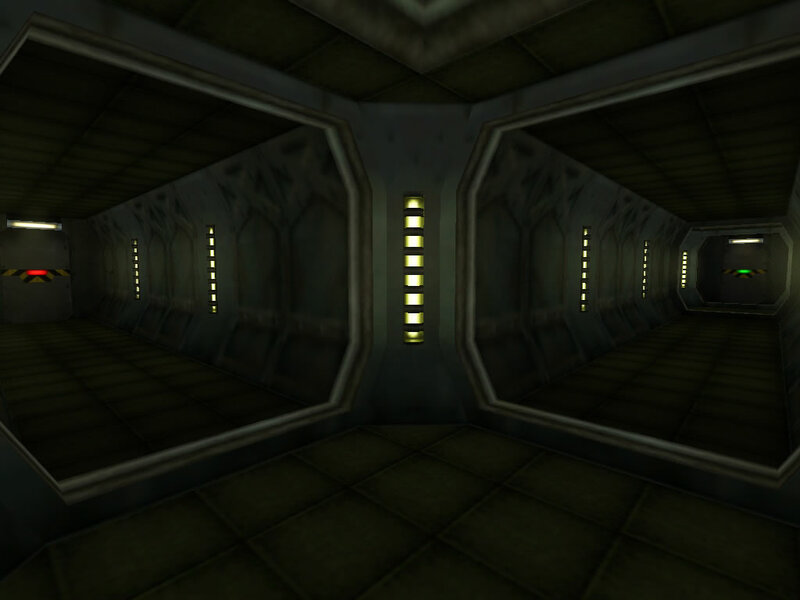 I hate Xen textures and architecture though so you're gonna get this instead and you're gonna like it. Wow, gibs hit the func_rotating. Didn't think people care SO much about engine. In my opinion, as a professional programmer, who also worked on a HL mod for more than 10 years, the real lego-work is GoldSource. But you cannot notice it unless you try doing something with it. And if you do, "PREPARE FOR UNFORESEEN CONSEQUENCES". One example: once in a while HL kept crashing after level change for no apparent reason. It took a year to find out (and not without help of Xash3D and rehlds because retards at VALVe even encrypt HL DLLs) that HL engine crumbles when singleplayer maps have upper/mixed case names. My maps are named like CO_MapName01, 02, etc. And there are LOTS of things like this. While I, as a modmaker, was spending 90% of my time dealing with things like that, imagine what Xash3D devs had to go through! And yes, there's a lot of Quake code in both HL and Xash3D. MDL loading code is available in studiomdl sources, same with BSP and SPR. I don't see much reason for VALVe to be so butthurt about their 19 years old stuff. And HL limits are killing me. I have a big (but still inside 8192 block) and vey nice unfinished map which even does compile, but crashes HL client just because there's no enough memory. Map looks nice but could benefit from increasing BSP polycout a little IMHO. I tend to follow most that have that classic look. I don't mean set in black mesa specifically. Original mods that favour brushwork prefabs over models. i heard that linux hl binaries have a lot of debug information in them making it almost possible to decompile, didnt xash make use of it? Xash has been in development since before the 2013 SteamPipe update, which introduced that information. It also doesn't include comments, which are also identical to leaked code. Haven't had time to make anything competition related, so once I've got an occasion I decided to continue working on one of my projects. 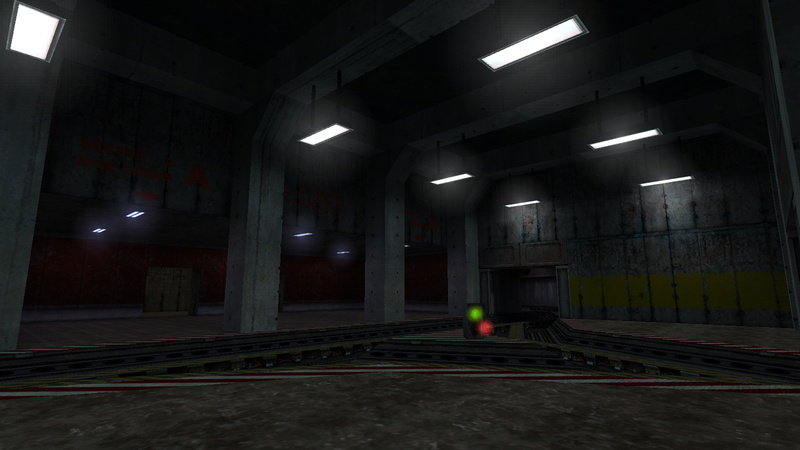 Using Darkplaces engine (Quake engine deriative), it was time to decide which map format I'll use (it supports a few). Made a simple area in Trenchbroom and saved it as .map, which opened flawlessly in Sledge (made a new wad for GS to use the same textures). There's also Quake 3 bsp (probably most advanced of supported by the engine) to test, though I'm not familiar with mapping tools for it. Darn, that inspires me to make a Quake map in J.A.C.K. 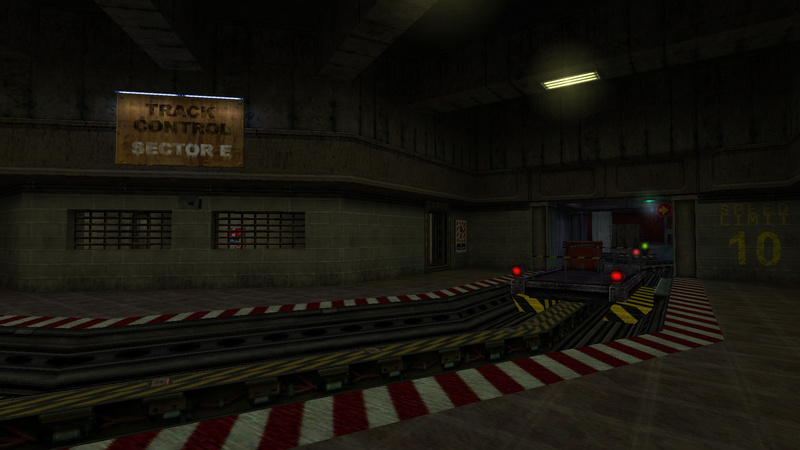 With stock Quake it'll look worse than on my screenshots, a lot has been modified in Darkplaces. And then, I haven't used any of it's advanced features there. 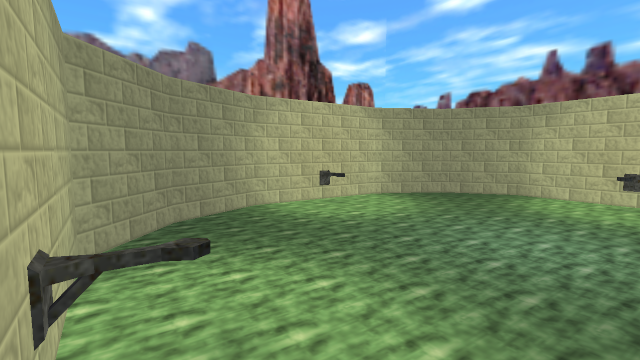 I just made a map with basic Quake entities, textured it and compiled. 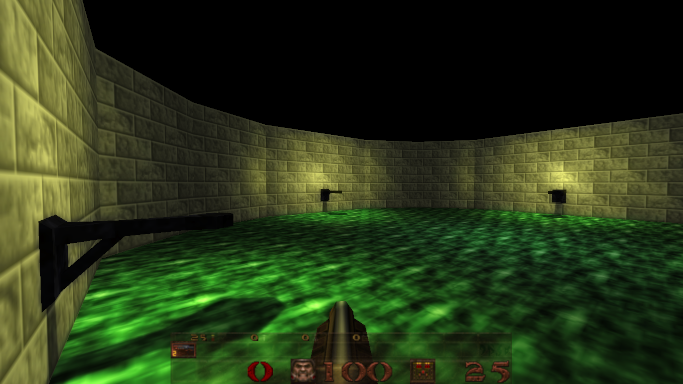 What I'm doing is starting with a Quake mod, then making it work as standalone pack working with engine. Once I reach that point, I can compile the engine and get my project with it's own executable. I think people should make new "separate games" built on Xash3d instead of making goldsource mods. Because there are a lot of limitations in goldsource and you can not make a modern and optimized game with it. But with Xash3d you can even modify the engine or make your game playable on phone. But the thing is I do not know if it is legal to use HL1 sdk as a base to use with Xash3d. Steam does not allow xash3d but what about itch.io for example ? Would gaben sue us even if it would be free ? For GoldSrc "games", yes. But for usual mods, it's 50/50. If your GoldSrc mod is just a simple level pack with 2 new weapons, then it doesn't need Xash3D. Though, you're right about the limitations. I mean, I was barely able to fit my school map into a 4096^3 space. All entities were inside the space, while some brushwork did slip off into the outer space. ts_untergrund is enormous, and suffers from its size on some locations, too. Working on a reimagining of the first DM map I released. New version looks less like BM here. That's a point, yes. But I think Xash3D API is not yet estabilished outside of GS API to be used widely. That's if you want your game to be portable between different engine versions. But if you're doing a complete stand-alone with lots of engine modifications, you pretty much stick to one version. I personally chose the hardest way of making a mod that is compatible with everything from WON HL 1110 to Steam HL 1122 and Xash3D. Just to let players run it on whatever they like most. Yeah, map size limitation is a very silly one. HL could technically handle double XYZ even back then. Processed in a hauntingly decent 106 milliseconds.